Phymatosorus diversifolius (Willd.) Pic. Serm. 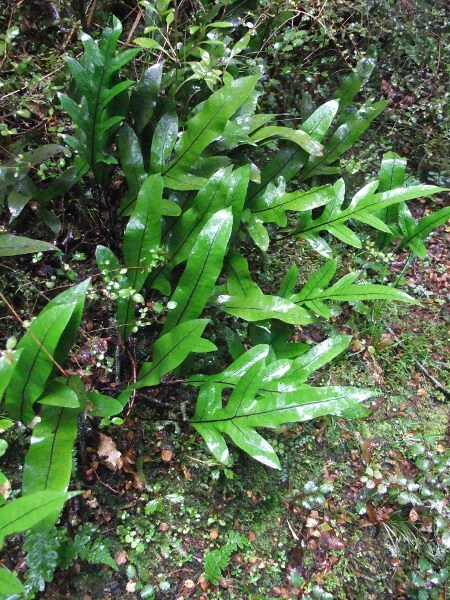 Phymatosorus diversifolius differs from Polypodium in having a cuneate leaf-base; it is native to Australia and New Zealand. 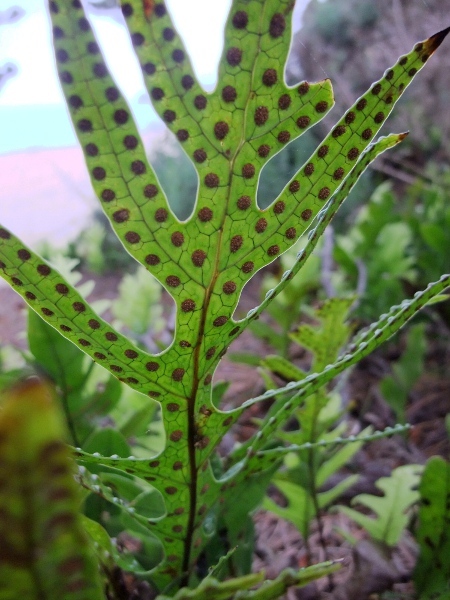 The sori of Phymatosorus diversifolius are sunk into the lower leaf surface, forming protruding bumps on the leaf's upper surface.